Books are important for me. I enjoy reading, but I think my interest in books derives from my interest in learning. Since childhood, I’ve enjoyed learning and thinking, and books have always been an efficient source for that. And, yes, I’m okay if that makes me a nerd. Because of this interest, I have also been interested in the reading habits and intellectual abilities of famous intellectuals. I take an interest in stories of their intellectuals feats that is likely similar to my friends’ interests in the physical feats of famous athletes. C. S. Lewis is one of the most widely read English writers of the twentieth century, especially among Christians. But he was also a professor of literature. As a professor, he was well-respected and his tutorials were popular. “One of Lewis’s abilities must be noted here, for it is of obvious relevance to his gifts as a writer: his formidable memory. Lewis’s mastery of the Renaissance skill of the ars memorativa unquestionably contributed to the success of his Oxford lectures, enabling him to recite quotes from memory. Kenneth Tynan (1927-1980), an “angry young man” of the 1960s, whom Lewis tutored in the 1940s, recalls Lewis playing a memory game with him. Tynan would read aloud a line he had arbitrarily chosen from a book he had selected from Lewis’s library. Lewis would then identify the work in question, and set the line in its proper context. Lewis read a lot. I read once, though I don’t remember where, that someone had looked over Lewis’s diaries for a year of his life and counted almost two hundred books that he mentioned reading that year. Lewis reread a lot of book. I get this from two things that McGrath says. First, he says that Lewis “absorbed [a book’s] deep inner logic.” And McGrath mentions that markings in books recorded when Lewis reread books. I think it is safe to say that you would remember more of what you read if you read more and and you reread more books. I don’t reread books as often as I should. But what is remarkable about Lewis’s reading habits – at least, what I infer about his reading habits from what he wrote elsewhere, as we’ll see – is that he didn’t just reread some books two or three times. It is rare that I reread a book even once. I can only name a handful of books in my life that I have reread twice. But Lewis implies elsewhere that he reread some books way more than that. But notice: Lewis entertained reading a book “ten, twenty or thirty times” in your life! Imagine how well you’d understand your favorite book if you reread it twenty times! I have no doubt that C. S. Lewis has a memory that is uncommon. I’m sure that many of my readers – at least the nerdier ones among you – aspire to such a memory. 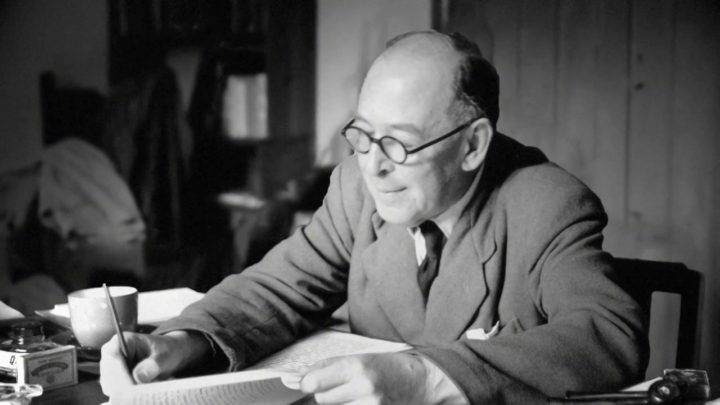 But maybe one reason that C. S. Lewis had such an uncommon memory is that he had such uncommon reading habits: he read and reread a lot of books.